Now, you can use Customer Match and RLSA for Google Shopping to convert more visitors and keep them coming back after that first checkout. Grab your copy of The Ultimate Guide to learn how it’s done. 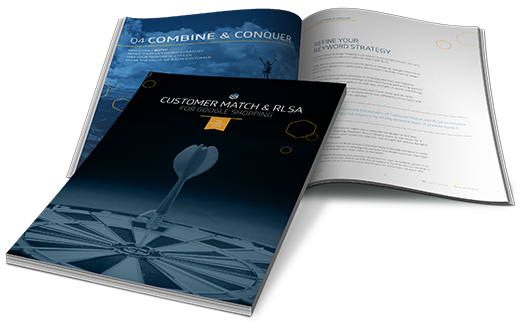 Download it today for answers to all of your questions about Customer Match and RLSA for Google Shopping -- plus a few you might not have even thought to ask.